Samsung launched the Galaxy Tab S3 more than a year ago and the company is now gearing up to introduce the next generation slate named the Galaxy Tab S4 in a bid to get the better of the upcoming iPad Pro family. 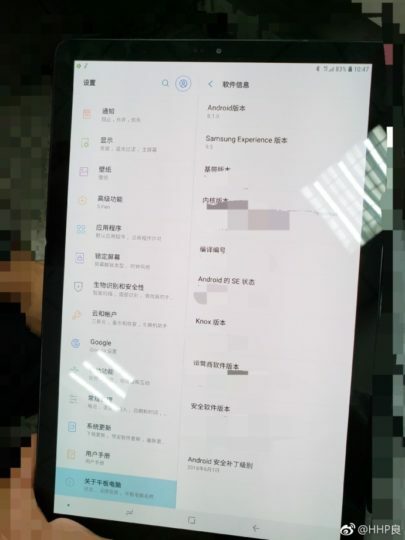 Sure enough, a leaked image has revealed that we might see a number of significant upgrades on the device, including one that will give the slate better security options for the user. As a whole, the construction of the tablet isn’t expected to change much but the image shows that the screen dimension has increased. Unlike the 9.7-inch Galaxy Tab S3 with an aspect ratio of 4:3, the new tablet will have a 10.5-inch screen with a 16:10 panel. This is the same aspect ratio that was seen on the Galaxy Tab S in 2014. Samsung had tried reducing the top and bottom bezels significantly to keep up with the changing times. To achieve this, the physical home key and other capacitive buttons have been eliminated. It now has on-screen buttons, quite like the ones on Samsung’s recent handsets. The home button on the tablet will not be pressure sensitive though. The source of the leak has also mentioned some other features. For instance, the tablet will have an iris scanner, but its level of reliability is going to be found out during rigorous testing. It will also have DeX support that will enable the tablet to give a desktop-like functionality through a compatible dock, but it is unclear how big of an encumbrance that will be present to the user. In terms of performance, you should expect plenty of it. The tablet will be powered by the Qualcomm Snapdragon 835, which is an upgrade from Snapdragon 820-powered Tab S3. Additionally, it will have 4GB of RAM and 64GB of internal storage, which is a decent combination of internals but let us hope that the price tag stays competitive. 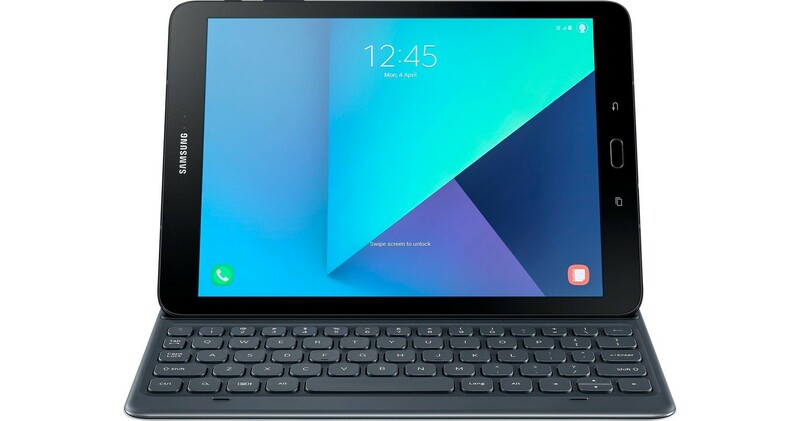 The Samsung Galaxy Tab S4 is expected to be introduced by the end of August or at the beginning of September during the IFA 2018 in Germany along with a Book Cover Keyboard add-on to maintain some productivity on the tablet.